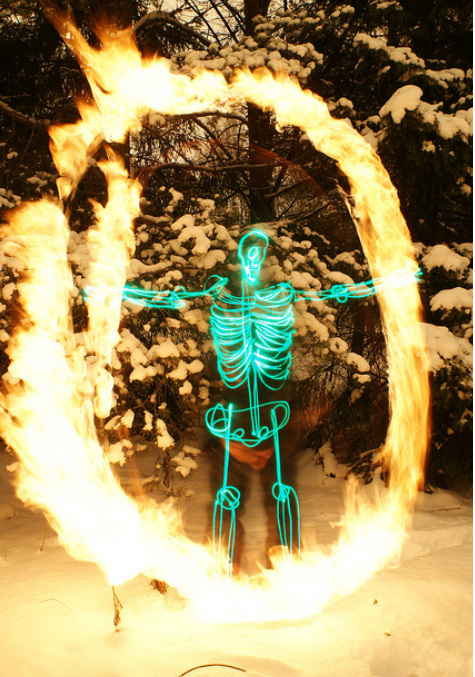 I saw these photos the other day and was totally blown away. 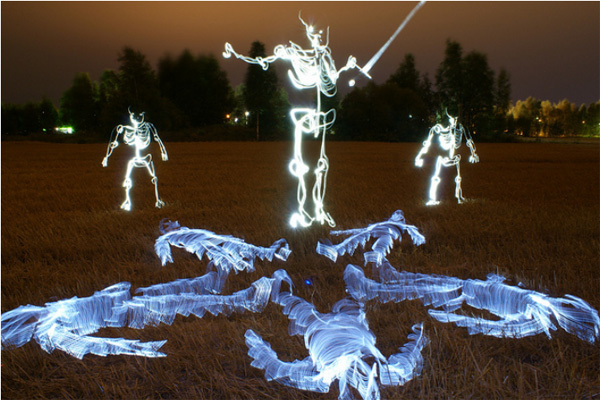 I have seen light painting before but these eerie skeletons by the fantastic Helsinki photographer Janne Parviainen are the best I have ever seen. 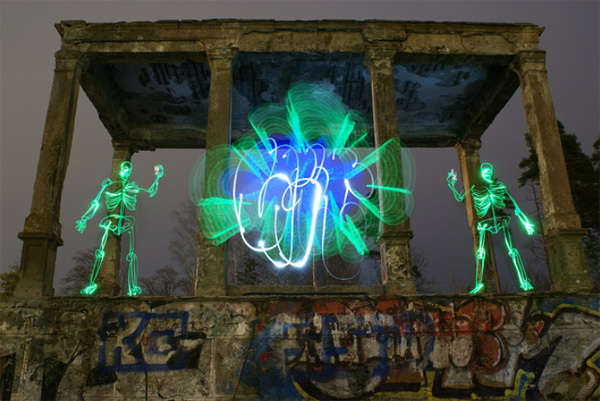 Light painting is a special technique in photography when exposures are made at night or a dark room by moving the camera or a form of hand held light. 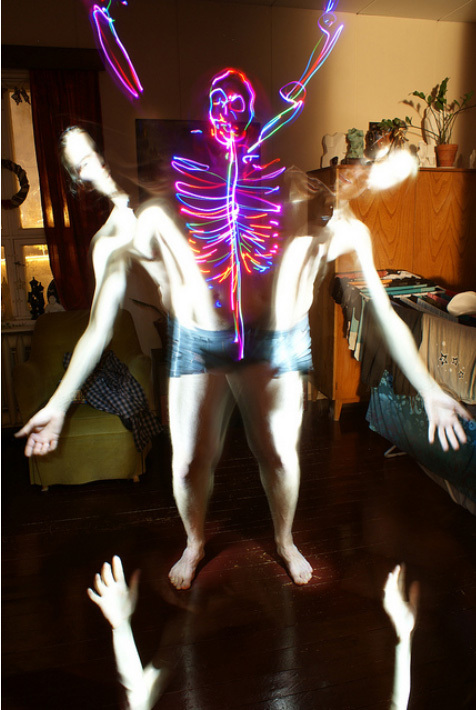 In many cases the light source itself does not have to appear in the image. 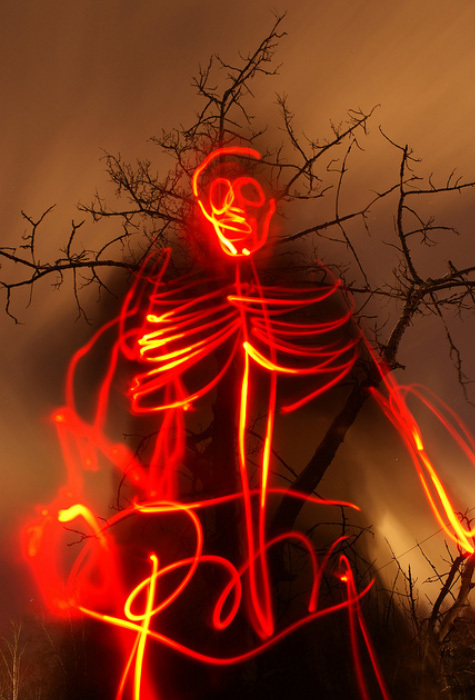 The first known photographer to use this technique was Man Ray in his series “Space Writing” created in 1935. 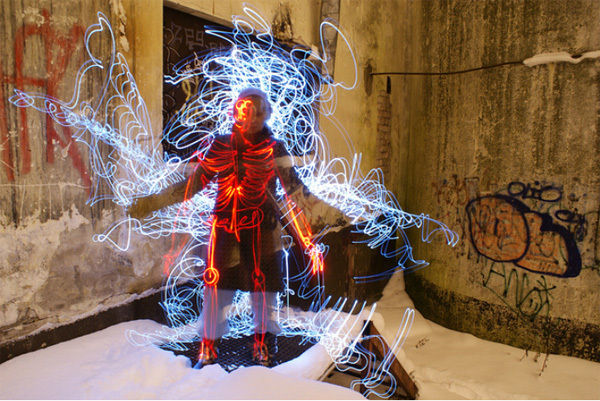 Take a look at some of Janne’s amazing work and you can see more at Janne Paint and Flickr. 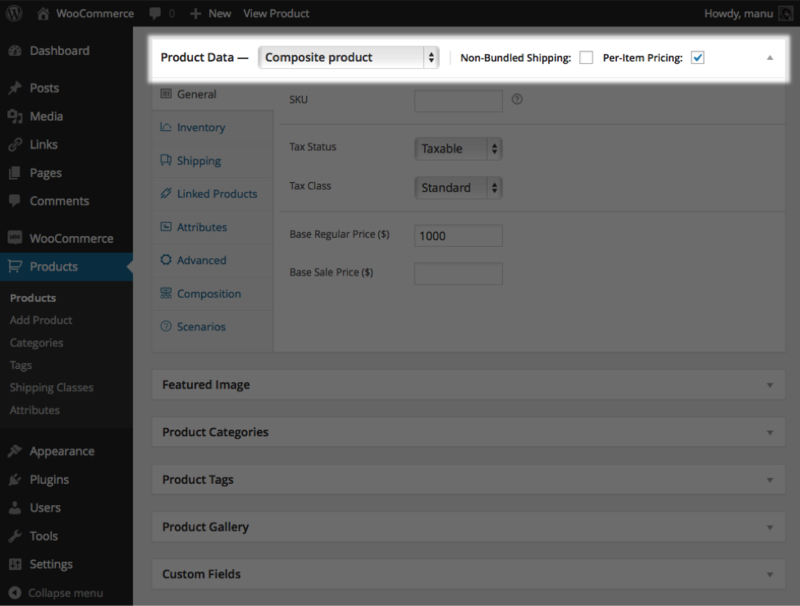 Jamie Cresswell has written 155 post on web design mash. 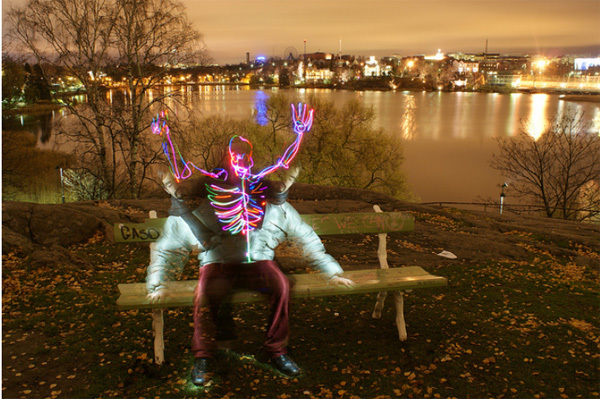 Former founder and blogger of Web Design Mash. 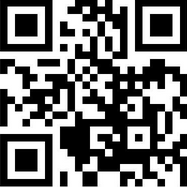 Working in IT & Design and based in the West Midlands, UK. 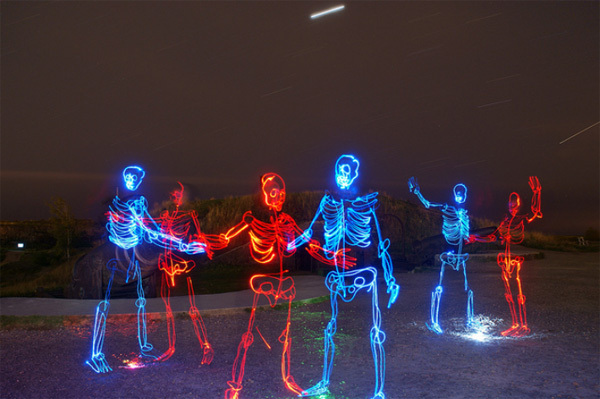 Wow… All of paintings are amazing. 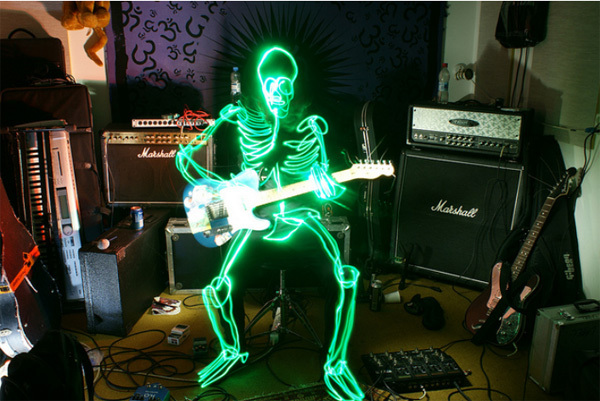 Some of the skeletons are very stylish, like the one with the guitar. 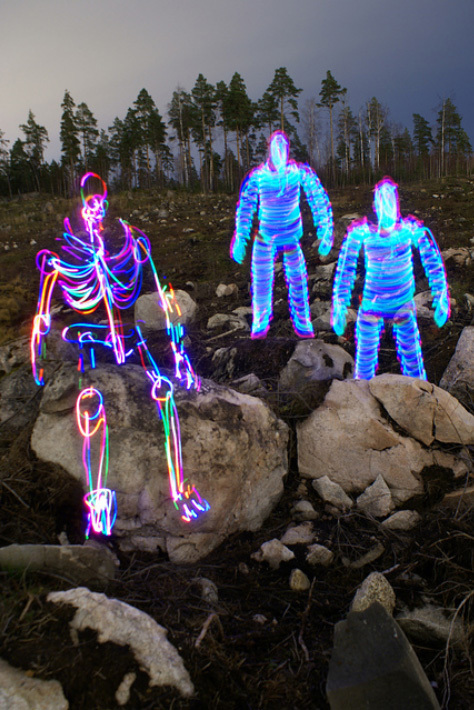 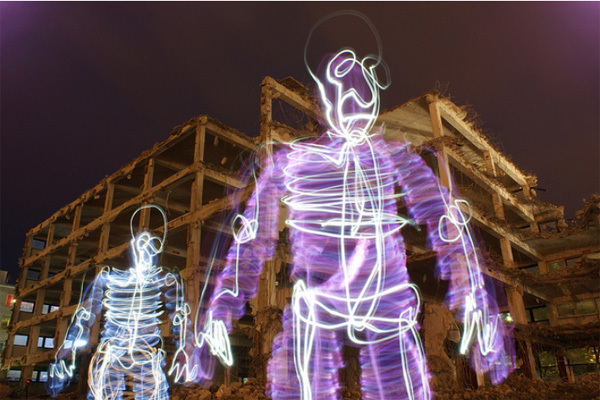 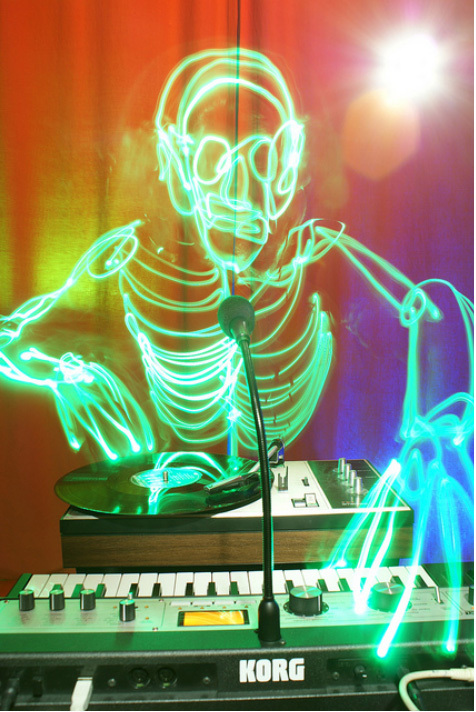 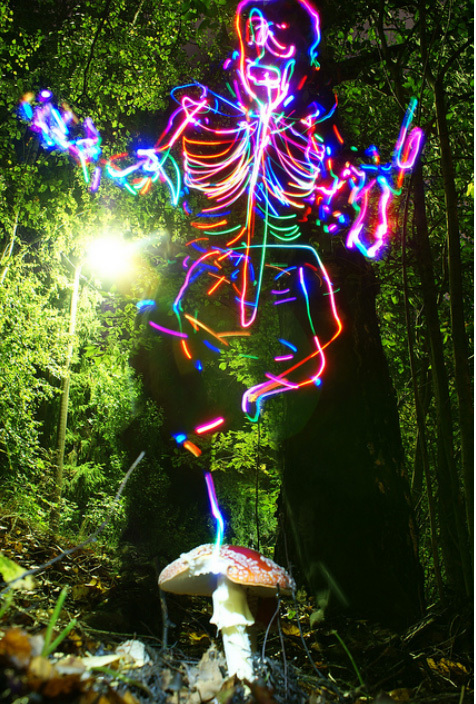 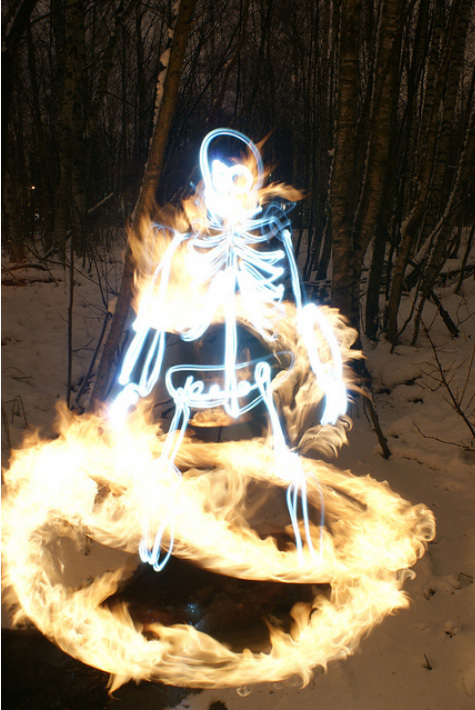 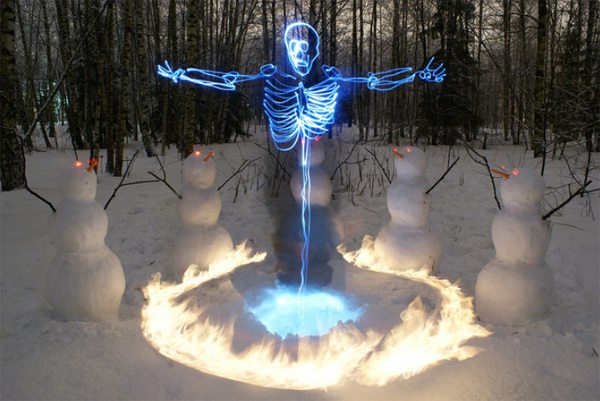 Awesome Light Painting Skeletons by Janne Parviainen – Web Design Mash « Affordable Hosting Gen.